Rick Bange is a member of Moore & Van Allen’s Corporate Practice. The focus of Mr. Bange’s practice is representing private equity sponsors and public and private companies in evaluating, structuring and negotiating mergers and acquisitions and investment transactions, including leveraged buyouts, growth equity investments, mergers, stock and asset acquisitions and sales, mezzanine investments and recapitalizations. 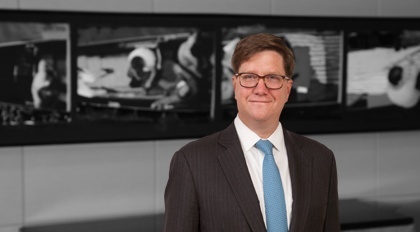 In addition to his work in the areas of private equity, venture capital and mergers and acquisitions, Mr. Bange also has extensive experience representing private equity sponsors in obtaining senior secured and high yield financing for leveraged acquisitions and recapitalizations, including through cash-flow and asset-based senior secured credit facilities and the issuance of high yield bonds. He also has experience in representing issuers of equity securities in initial and follow-on public offerings. Prior to joining Moore & Van Allen, Mr. Bange practiced at King & Spalding and was also with the M&A/Private Equity and Finance Groups of O’Melveny & Myers LLP’s New York office, where he represented private equity sponsors, venture capital funds and private and public companies in a variety of transactions. Selected as a 2015 BTI Client Service All-Star, which was a group of 354 lawyers nationwide that Fortune 1000 clients say stand out from all others by delivering superior client service.